This was a piece I wrote for the January 2011 issue of Metropolitan magazine. In July, the Mayor of London introduced a scheme that allowed the public to rent bicycles from 300 docking stations in different London. Within days, maps could be found all over the internet showing exactly where each docking stations could be found and which were the most popular. These maps were largely unofficial and all free, created by tech geeks for fun and copied to internet forums for the use of cyclists, tourists and map lovers. It proved once again that Londoners will map anything. There are maps for free wi-fi hotspots, maps that chart where the most Twitter activity comes from and maps that find the nearest toilet. 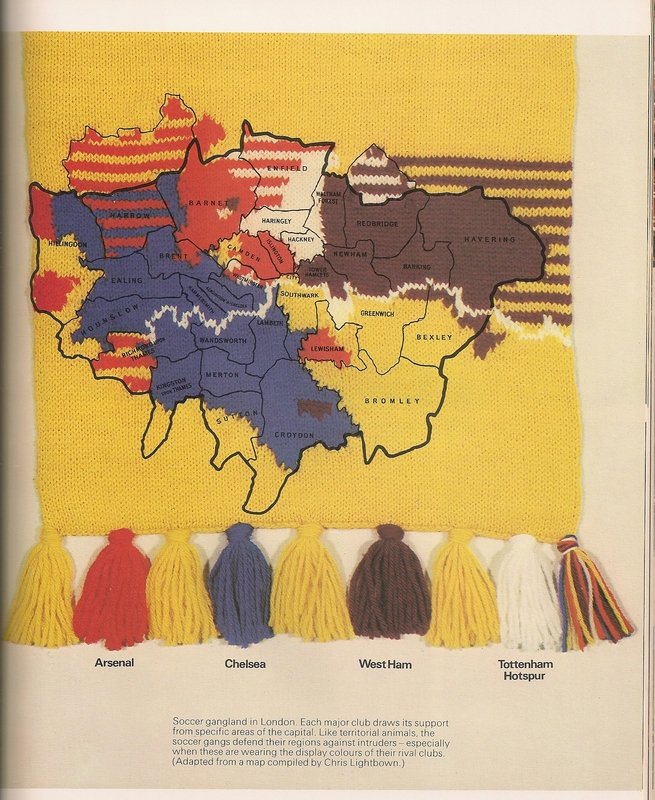 One of my favourite maps is this 1970s version of the knitted football tribes of London. This love of maps is engrained in London’s psyche, the result of living in a chaotic and unplanned metropolis. Two of the city’s favourite icons are maps: the A-Z, that portable atlas which even seasoned Londoners carry in case they get lost; and the Tube map, a design classic that has been copied by transport networks all over the world and is regularly ‘mashed-up’ by artists, replacing stations with footballers, philosophers, films, authors and anagrams. Barber names the key maps of London’s past –the Copperplate map of the 1550s, the Morgan map of 1682, the John Rocque map of 1746 and the Horwood map of 1829. Barber makes a distinction between two kinds of maps. There are functional maps for getting you from A to B (or A to Z) and there are maps that work thematically or artistically to present information or ideas over a cartographical plan. The thematic map has been popular in London for centuries – the most famous is Charles Booth’s Poverty Map of 1889, which colour-coded streets according to income. Another is ‘The Modern Plague’ of 1886, produced by the National Temperance League, which showed pubs in central London. These maps are designed to transmit an idea, not aid mobility, and are fascinating to study. 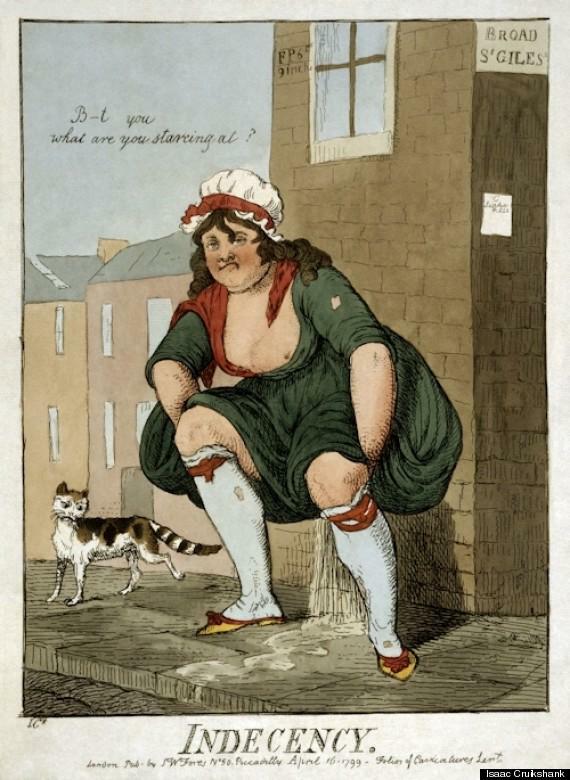 One of the first was John Snow’s map, tracking cholera outbreaks in Soho. Straddling these two types of map is Bill Visick, a former manager at IBM, who has developed the London Time Travel Explorer (TTX) app for the iPhone. This features four maps of London dating from 1746 to 1862 and a contemporary map of the city. Using GPS technology, the user can fade between old and new maps to see how the street on which they stand has changed. It’s virtual time travel.